Educational institutions can celebrate the success of their graduates at the impressive Glendale Civic Center. We can accommodate seating for groups of 100 to 1,100 guests. Technology and lighting enhancements are available to spotlight the graduates as they are presented with their diplomas. Upon arrival at the Civic Center, the graduates and their guests will enter through the majestic marbled Rotunda and flow into the ballroom for the ceremonial “Pomp and Circumstance.” Upon conclusion of the ceremony, our lush gardens will provide the perfect setting for group and family photos. The Glendale Civic Center is the ideal venue for your next prom or formal. Our elegant surroundings, beautiful gardens and majestic ballrooms provide the perfect setting for your formal affaire. While our flexible ballroom space permits you to create the perfect space design, our event professionals will work with you on the décor options to develop a theme that entices all to attend. Additionally, our exclusive caterer has created unique food and beverage packages to complement your theme. There’s no gym dance floor here! 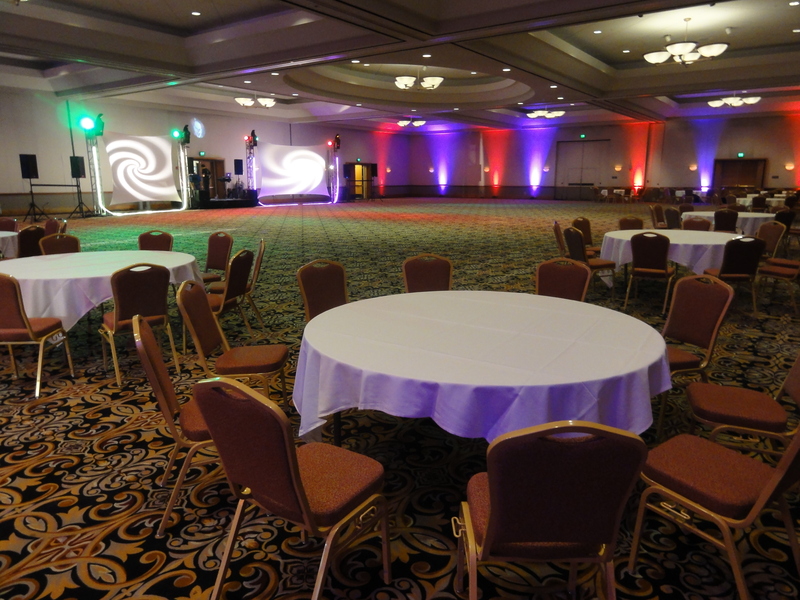 Our large, spacious ballroom provides the perfect opportunity to dance the night away. Our elegant surroundings, beautiful gardens and majestic ballrooms, provide the perfect ambiance for large gatherings and the ideal destination for large homecoming events. Let us be the venue of choice for your homecoming.